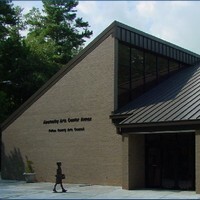 Abernathy Arts Center is Fulton County’s oldest neighborhood arts center, dedicated to providing quality arts instruction to the community in a warm and friendly environment. Under the guidance of the Fulton County Arts Council, a broad range of day and evening classes for adults and children are offered. The gallery features monthly exhibits that provide showcase opportunities for student and faculty work. Located at the corner of Abernathy and Johnson Ferry Road in Sandy Springs, Abernathy’s campus includes a renovated farmhouse and the Annex, housing a gallery and classroom space.